Nearly a third of the way through the year, and April 2018 is already shaping up to be a lot less exciting than April 2017. Of course, this time last year involved frantic shelf-installing and box-unpacking after the move from the old gallery space at Valley View Center, so it’s all a matter of perspective. (And if anybody had any doubts about not getting involved with the Rock Candy Mountain promises of artist spaces opening up at the Midtown project allegedly replacing Valley View, they’re gone now.) Yes, the weather keeps fluctuating between “typical” and “too cold to get out of bed right now,” but we haven’t actually gone below freezing…yet. As far as last weekend’s Manchester United Flower Show was concerned, April follows in the tradition of last February: announce a gallery event, get everything ready to go, and then watch the weather feeds for impending catastrophe as a sudden atmospheric fewmet comes to visit for a while. Last February, it was a last-minute ice storm that hit north and west of Dallas, making a lot of potential attendees understandably reconsider a trip into Dallas if the roads were going to be frozen over by the time they attempted to return home. This time, Friday festivities were greeted with tornado sirens going off over most of North Texas: we got a bit of heavy rain for about an hour, but a friend coming in from Chicago found shelter with a multitude of others in a furniture store north of here, and folks to the south and the west had their own issues with hail and lightning. What issues Friday brought were mitigated on Saturday, where chilly but otherwise excellent weather brought out lots of first-time visitors and Valley View regulars. If nothing else, the weather caused reevaluations of having an outdoor event in spring, because any tents set up in the parking lot would have been blown to Oz and back. Maybe next year. And on that note, further events in April will be restricted due to the need to get ready for Texas Frightmare Weekend on May 4 through 6, and then things get interesting. It’s too early to discuss particulars, but everything leads to a gallery show on June 30, just in time for everyone uninterested in traveling out of town for the July 4 weekend. The subject of that show is a secret, too, but let’s just say that anyone attending can say with authority that they’ve never been to an art show like this one. Lateral shift to go back to talking about Texas Frightmare Weekend: the vendor map and listings arrived yesterday, and we’re back on our favorite row. As for most of the decade, the epicenter of Frightmare is at the Hyatt Regency DFW in DFW Airport, thus making the entire wing of DFW Airport by the hotel available parking for the convention. As in previous years, the Triffid Ranch and Tawanda! Jewelry tables will be in the back of the Made In Texas Hall in the hotel basement, right next to the signing lines. Since this coincides with the first-ever Triffid Ranch show a decade ago, those already taking advantage of the Shirt Price discounts have an extra incentive to wear their Triffid Ranch T-shirts to the show: while supplies last, everyone showing up in a Triffid Ranch shirt or purchasing a shirt at the show gets a special present, no additional purchase necessary or needed. It’s just an extra bit of thanks to those who have not only made Texas Frightmare Weekend one of my favorite shows, but who have made the previous nine shows so much fun. One ancillary note about Frightmare, not for this year but for next year: I’m regularly asked about getting vendor space at Fan Expo, the local convention that inspired the “Malcolm Rule” mentioned a few weeks back. I’ve balked for many reasons, and now my refusal became personal. Ever since the old Dallas Comicon was purchased by out-of-town convention accumulators and turned into Fan Expo, it and its associated Fan Days events always conveniently scheduled themselves against other similar events so that local attendees could do one or the other but not both. (Longtime fans may remember when the Dallas Fantasy Fairs did the same thing in the early Nineties, stunting or killing up-and-coming conventions that simply couldn’t compete against the Flimsy Fair hype machine and guest lists. Those fans who aren’t longtime fans might not be familiar with the name “Dallas Fantasy Fair,” as the Flimsy Fairs blew up very spectacularly in 1996 after choking out all other competition, just in time for the big comics speculation bust that caused Marvel Comics to file for bankruptcy at the end of the year.) Five years back, Fan Expo’s parent company offered to buy Texas Frightmare Weekend for a pittance, and when told no, attempted to run a horror convention within the main show that was an unrelenting disaster. Since then, Fan Expo management concentrated on scheduling opposite the A-Kon anime convention, ultimately causing it to move out of Dallas entirely, and then settled for running two weeks after All-Con. And now on a purely friendly note. It’s been about three years since the last Cat Monday event on this site, mostly due to the time taken by the gallery, but its main subject, Leiber, is still going strong. As of Friday the 13, Leiber turns 16: he’s still the so-dopy-he’s-cute FreakBeast he was when we adopted him in August of 2002, but he’s a little stiffer today. Aren’t we all. Those who have met him are welcome to wish him a happy birthday, although he’ll probably only care if the person offering the wishes brings cat treats as well. And so it goes. A little tip to beginning gallery owners: unless you own the building, don’t get too comfortable. Even if everyone involved swears up and down that tenants get 60 days’ notice before they have to vacate the premises, that promise is generally worth the paper it’s written on when the owner decides otherwise. I say this not out of bitterness but as a friendly warning: For those not already prepared, 30 days to find a new space, take care of occupancy permits and fire inspections, get the keys, and move everything is problematic even if everything works perfectly. Here in Dallas, where often the only way to get a retail leasing agent to return phone calls is to call the CEO of his company and ask if he’s unavailable because he’s hurt himself from masturbating all day, 30 days just simply enough. It’s possible, barely, but it requires starting packing and searching pretty much the moment the notice came through. We were lucky: as we were leaving the day before everyone had to be gone, we had neighbors who were just starting to look because they’d assumed that this notice would be the same false alarm as it had been for the previous five years. As we pulled the last items out of our space, others were openly wondering what they were going to do, and you do NOT want to be in that position when the doors are being boarded up and the demolition crews start rolling in. After eighteen months, it was strange to realize that we were the last-ever tenants in a particular venue, especially since that venue had been around for almost as long as we had been alive. We moved out on the last weekend of February thanks to the Herculean efforts of friends and cohorts who didn’t need to waste a weekend helping to pack and lug multiple truckloads of detritus, and when it was done, the place was strangely smaller for being empty. The only echoes of past tenants were little touches of urban archaeology: the number for Mall Security on a piece of masking tape (with no area code because most of the area was under only one area code until 1997) on the front counter, the tags for long-removed paintings from the previous gallery, and the strange assemblage of clothes displays from the next-door Foot Locker, apparently scavenged after a rebranding, in a Home Depot box over the fire escape door. The move wasn’t something we’d planned, but it was done, and now it was time to leave with a bit of dignity and grace. Trying to stay only would have made the memories sour. And in the end, that was it. The last truck was loaded, and we waited for the sole security guard to inspect the space, ensure that we weren’t trying to prise fixtures out of the ceiling, and sign the all-clear on what was called the “sweep-out form.” We handed over our keys and turned off the circuit breakers in the back for the last time, and the guard rolled down the gate. 20 months since we first viewed the space and contemplated moving the Triffid Ranch to a semipermanent location, it was all over. 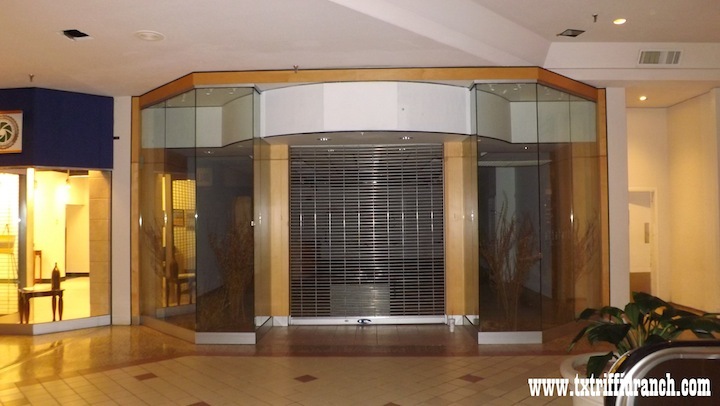 We no longer had any connection to the mall, and with the impending demolition, we knew we’d never see it again. And so it goes. One of the aspects of a gallery setup and expansion that nobody considers, until they have to do it, is working with the space as is available. The old Triffid Ranch space was apparently used since its construction as a men’s clothing store, so it had all sorts of vagaries that you’d never find in other locales. A lack of electrical outlets, for instance: in the main space, we had a couple in the main register island permanently affixed to the west side of the room, two along the back wall, and two on each side of the front gate. Of course, those ones by the front gate were on the ceiling in order the power the ridiculous halogen lighting so popular in the 1980s for store displays. This meant that extension cords were our friends, and we were incredibly happy to live in a future where compact fluorescent and LED lighting took a significant load off the electrical system while still supplying enough light for the plants. Getting the cords to the lights, though…that was fun. One of the problems with working in a mall after hours is the ridiculous quiet. With the exception of the occasional security guard doing his rounds, most nights were accompanied acoustically only by tintinitis unless you brought sonic or visual stimulation. Hence, because the big register island couldn’t be moved, and Square point-of-sale apps made having a distinct register area as quaint as daily milk delivery, it became the de facto worktable. Also, since the mall was built at a time when wifi and cell phone reception were science fiction but tornadoes weren’t, phone reception cut out about three meters from the front gate and radio reception of most sorts after about five. Combine that with a mall wifi installed around 2005 that wasn’t going to be expanded or updated, said entertainment consisted of lots and lots of DVDs and a rather old flatscreen that got the job done. This even expanded into formal events such as the ARTwalks: considering the outside crowds coming to the mall during its final months, it might have made more sense to turn our openings into Babylon 5 viewing parties, because everyone was glued to episodes playing in the background. Because the space was intended to be work area and showroom, we at least tried to separate the two with curtains, but naturally that meant that everyone wanted to see what was in the back. Those same people strangely had issues with workspaces that had everything I needed, combined with a “Hunter S. Thompson crashing in your living room for a month” vibe that should have said “Abandon hope all ye who enter here.” Silly me: that was just encouragement, because this was where the magic happened. And then there was the actual back growing area, intended for plants that weren’t ready for general dissemination. 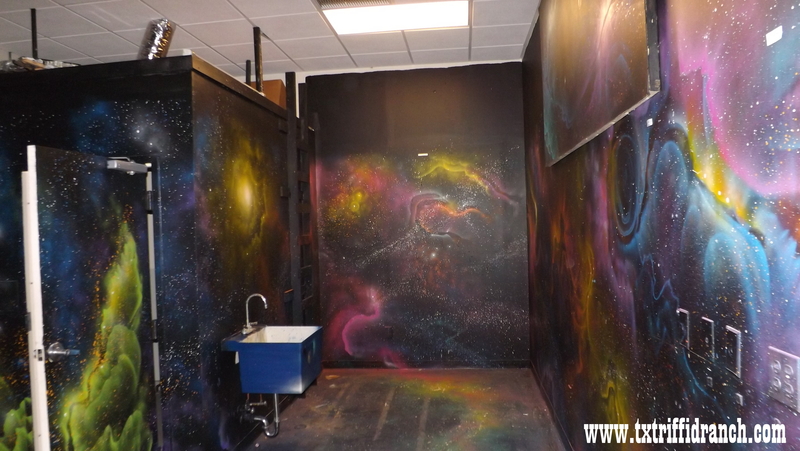 The spacescape painted over the entire area was there when we moved in, a legacy of the art gallery that had been there until early 2015. Combine that with the reflective film on the growing racks to reflect light back onto the plants, and it was as if the1980s never ended. Finally, one of the biggest challenges was letting new visitors know where the space was located. By the time we moved in, the mall’s owner had no intention of updating the various “You Are Here” maps throughout the mall, but he had no problem with our putting up signs to steer customers. This was when we learned the extent to which most Americans have learned to block out advertising as a matter of mental survival. Multiple signs on the upper and lower levels, the big Styrofoam pillar covered with posters and fitted with postcard holders, and an extensive online presence that included maps, and wise still got calls asking “So where are you? I’ve been looking for you in the mall for an hour!” And so it goes. Now that the new gallery is getting to the point where it isn’t a horrible post–apocalyptic accumulation of dead tech and cultural detritus, it may be time for a few last looks at the old. When we got word that most of the remaining tenants at Valley View Center had to move, we’d finally managed to beat our space into something approximating a real gallery. One whole wall covered in shelving, separate aisles set up and clear, and ready visibility of both finished plant enclosures and in-progress projects to anybody who came in. Naturally, getting everything under control meant that it was time to move, but at least we’d worked out most of the logistics issues by the time it happened. Oh, and what a space it was. In addition to the plants, the old gallery was the home of Tawanda Jewelry, and it became a vital meeting locale for new and longtime clients. Just as with shows and events, it made sense: why couldn’t you mix plants and carnivorous plants in the same space? And there it ended, right after our January ARTwalk. It wasn’t perfect, but it was definitely getting there, and it gave us plenty of experience with setting up a more permanent gallery. And so it goes. As of last Monday, the old Triffid Ranch space is back to where it was when we moved in. Well, maybe a lot cleaner, with fewer burst sweet and sour sauce packets in the counter drawers and about $1.35 less in pennies all over the floor of the back room. (Seriously, the way bad pennies kept turning up, I started having dreams that they bred like cockroaches.) 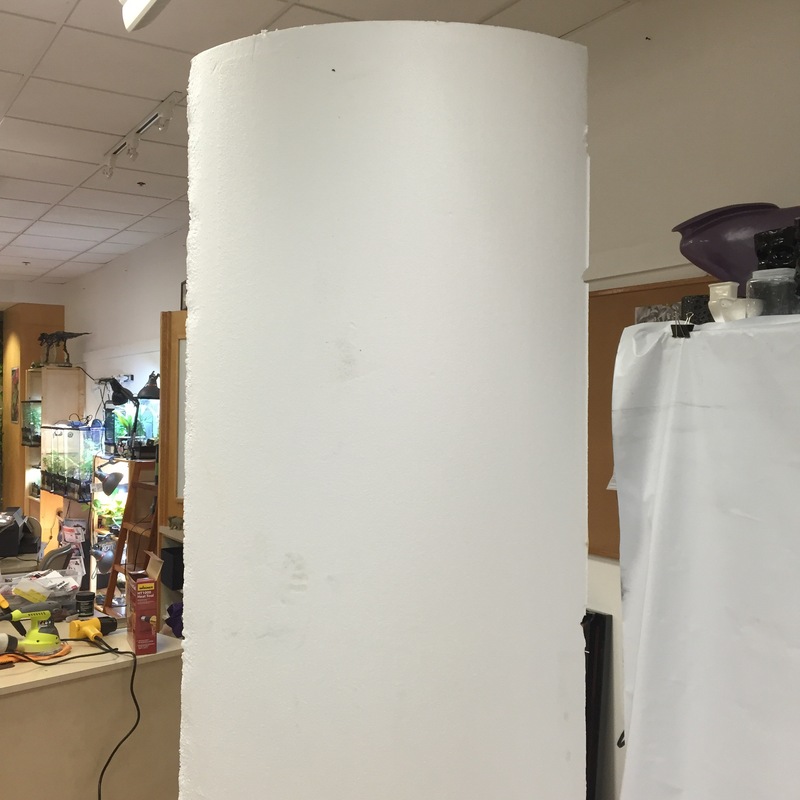 The space will never see another tenant, as the fixture recycling and dismantling started March 1 in preparation for Valley View Center’s eventual demolition. 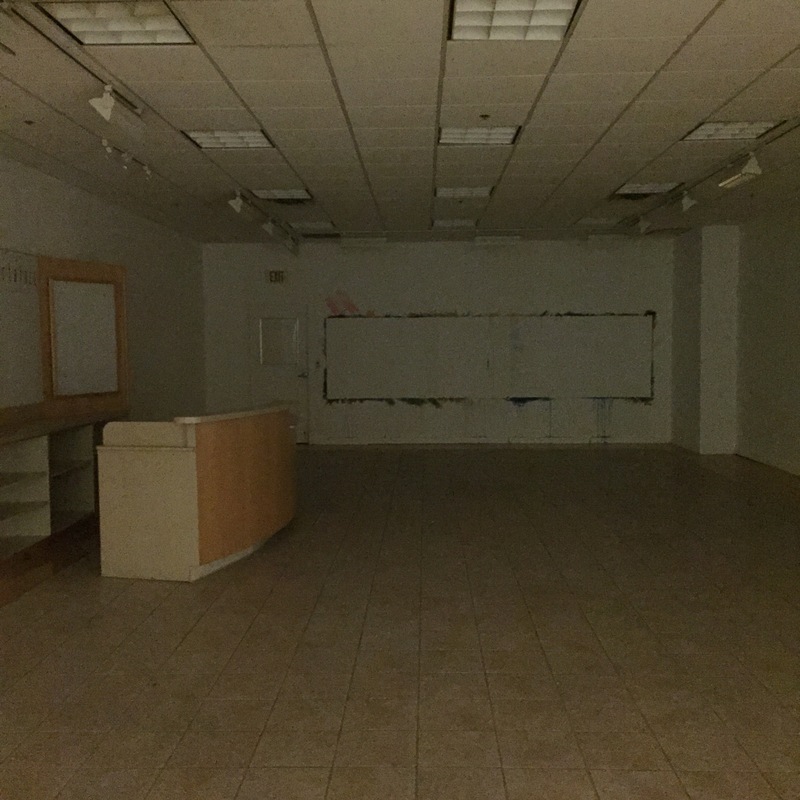 However, we were there to see it off, and we were the last to see it as a retail space.What happens next is up to the property owners, but at least we had the time we had. Selah. Well, we’re at the end of the time at the Galleries at Midtown space. 18 months ago, we opened with wide eyes and no idea of what the future would bring. 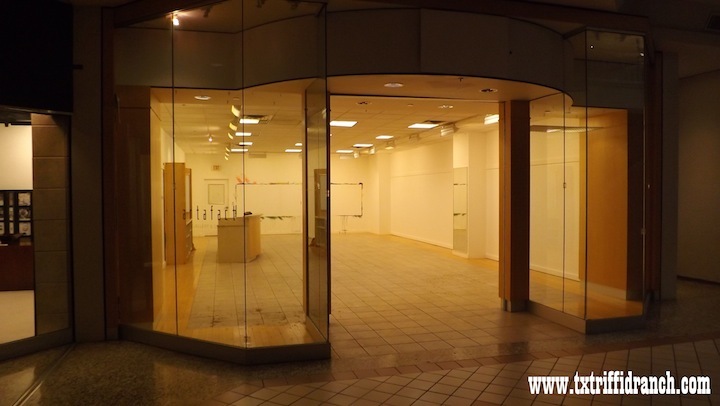 By February 28, most of the art galleries will be moved out, the last of the stores on the lower level vacated, and the inevitable demolition started. Valley View Center will be replaced with a new collection of apartments, office buildings, and retail space, but without ARTwalks, without random passersby, and without a lot of strange memories. Valley View deserves a final sendoff, but the move this weekend takes precedence. The new gallery awaits, and with it come new schemes and new stories, all of which wouldn’t have been possible if not for the last year and a half out here. And so it goes. 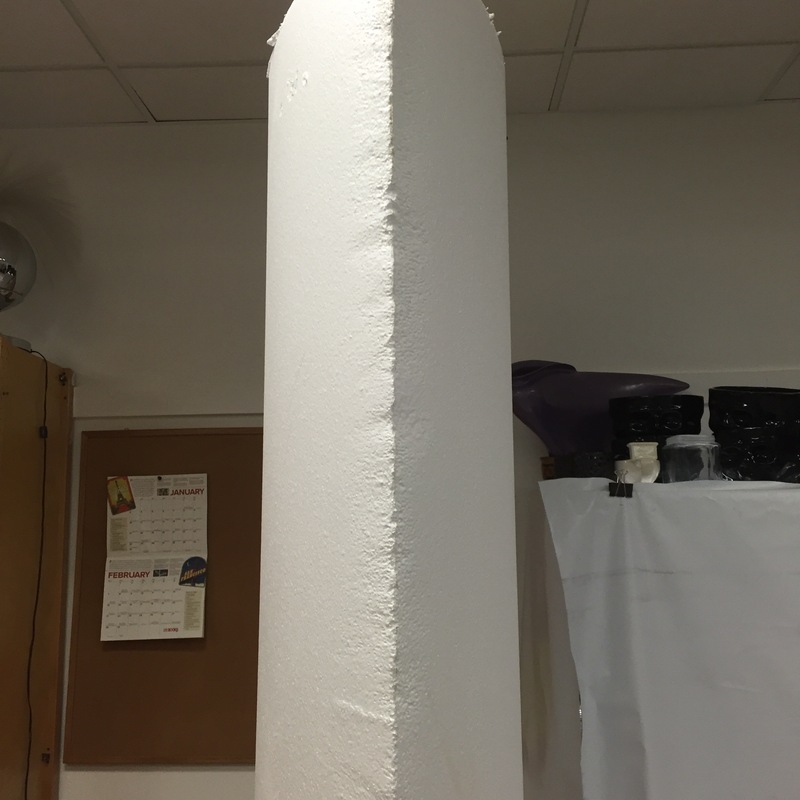 The medium made itself accessible soon enough: an Internet radio station getting situated further down the mall pulled these huge Styrofoam blanks from alcoves in their walls and set them aside. This being an art gallery community, most disappeared as soon as they were offered, propped up on one end, and used as temporary print and photo displays. Thankfully, one remained, and after a few weeks of shaping with heat guns, painting, and augmentation, the new Triffid Ranch sign went up on the main mall floor, within view of the escalator leading to the movie theater. It’s not to the level of a Jay Sherman book promotion cutout, but what is? So there you have it. Combined with dispensers for promotional postcards, it not only brings in interested bystanders, but it fits in with the general theme and intention. Now let’s see if I can find another foam core in order to put another sign directly in front of the space. Another third weekend, another ARTwalk on July 16, and we’re hoping to see all of you there. The last nearly twelve months of work on the Triffid Ranch gallery have been among the most productive and successful months of my entire life. Besides having the opportunity to work on larger enclosures than what was practical or sane to bring out to Triffid Ranch shows and lectures, it helped buffer the massive leap between a home-based business and one that might actually grow into a full-time retail establishment. I’ve met an incredible number of wonderful people, heard a lot of fascinating commentary, and managed to juggle full-time employment and gallery fun with only a few regrets that nobody has discovered the 87-hour day. The only other regret is that this stage ends in another six months. Well, we got the word last week, but the official notice came out today: the city of Dallas approved the new plan for the mall redevelopment, so everything has to be turned off by December 31 as part of the deal. We’ve been told by the owner that they’re seeking an interim location for the galleries until the new MidTown is complete, and that gallery and workshop space is going to be part of the draw for MidTown, but that’s at least three years away. In the interim, the Triffid Ranch is moving. Where we’re moving is a good question: a lot depends upon location, rent, and available parking. “When” is a good question as well: we’re going to stick it out in the current location for as long as we can, knowing that when the Christmas season ends, we’re leaving whether we like it or not. In the interim, work continues at the space, we’ll continue to prepare for shows and events, and ARTwalk, obviously, continues all through the remaining time here. In particular, stick around for the one-year anniversary party on August 20 (this doubles as Caroline’s birthday party, so grab cake and barbecue while you’re here), and let’s celebrate what we have while we still have it. When we moved in, we figured realistically that we’d have a year in the space before the demolition started, and we hoped for two years. 18 months is a good compromise. Now let’s see where we go from here. A solid month of renovations later, and the space has been drastically rearranged. The space has a whole new display area, and the enclosures to fill it. I guess it’s time for MidTown ARTwalk on Saturday evening, isn’t it? See you then, and good thing I’ll have another four weeks until the next one, because the enclosure designs keep coming. Well. September already, and everything is starting to gel. Lots of new developments with the Triffid Ranch, and all of them good. Now if I could invent the 47-hour day or remove the need for sleep, things will be spiffy. Firstly, some may have noticed the new logo, courtesy of Gallantry Web Design. This whole summer has been nothing but change, and the logo sums it all up. The next plan is to update the rest of this site: things have been quiet here for far too long. Now to developments. The first of these involves the new Perot Museum of Nature & Science in downtown Dallas, and its First Thursday Late Night events on the first Thursday of every month. This month, the subject is “Botanicals,” which entails a lecture by yours truly in the lower auditorium. Any excuse to get out to the Perot after normal hours is a good one, and you can either come to listen to me yammering away, or come out for the screening of the equally grim and gritty Attack of the Killer Tomatoes. Either way, admission to the special events is free with a regular museum admission, so use this as a opportunity to see the rest of the museum without worrying about fighting the traffic while heading home. Otherwise, the real news is that, after two months, the space at Midtown (formerly Valley View Mall) is nearly ready, with an official opening on September 19 to coincide with September’s ArtWalk. After that, the new space is open every third Saturday, from 6 until 10, and otherwise open by appointment. More details will follow closer to the opening, but one of the big upshots is that this allows the opportunity to produce enclosures and containers too big and bulky to bring out to individual weekend shows, as well as carrying carnivores too esoteric or too specialized for beginning enthusiasts. Funky Finds Holiday Shopping Experience in Fort Worth: It’s been a very long time since the Triffid Ranch last traveled to Fort Worth, and it’s about time to return to the Funky Finds show the weekend of November 7. Expect a lot of new species, a lot of new enclosures, and a general experience unlike anything else you’ve ever seen at a handmade craft show. It’s good to be back. All-Con in Dallas: After skipping out on the 2015 show due to scheduling issues, there’s nothing quite like coming out of winter blues in March 2016 with four days of carnivores at All-Con, now at a much superior and more central location. This show starts right about the time temperate carnivores start emerging from winter dormancy, so it’s just as much about the new blooms as it is about the rest of the plants. In addition, with the new workspace, expect to see a lot of things that simply haven’t been possible to bring out in previous years. John Belushi was right: March 2016 will come in like a lion, and go out like a salt marsh harvest mouse. Texas Frightmare Weekend in Irving: Once again, this is the big one. Texas Frightmare Weekend is the show to which all others in the Dallas area should be judged, and all of the surprises from previous years will be eclipsed by the arrangements and enclosures planned for the May show. Get your tickets now, as they sell out incredibly fast these days, and keep an eye open for special Triffid Ranch promotions only seen at Frightmare. And as one final extra, the plan is extremely tentative, but 2016 may be the year that the Triffid Ranch escapes Texas, at least for one weekend. The idea is to haul everything the weekend of August 17 to Kansas City, Missouri for MidAmeriCon II, the 74th annual WorldCon. Again, that’s the idea: while Kansas City is about an eight-hour drive from Dallas, we also have the logistics of interstate plant certifications and dealing with KC’s not inconsiderable summer heat. If it works out, though, look for the distinctive logo above in KC, and with luck, this may be the first of many traveling shows outside of Texas. We hope. To steal blatantly from Harlan Ellison, we’ll start at the middle, and then go back to the beginning. The end will take care of itself. Nearly six weeks after signing the lease and starting to move in, the new Triffid Ranch space is nearly ready. The official launch date is September 19, 2015, to coincide with the September ArtWalk. It’s not a standard retail space: it’s a gallery, open by appointment only, but also a workspace in order to get new arrangements and new plants ready for new shows. That said, the real fun should be starting in October, once the heat breaks, the days get shorter, and the air in Dallas no longer smells like burning flint. 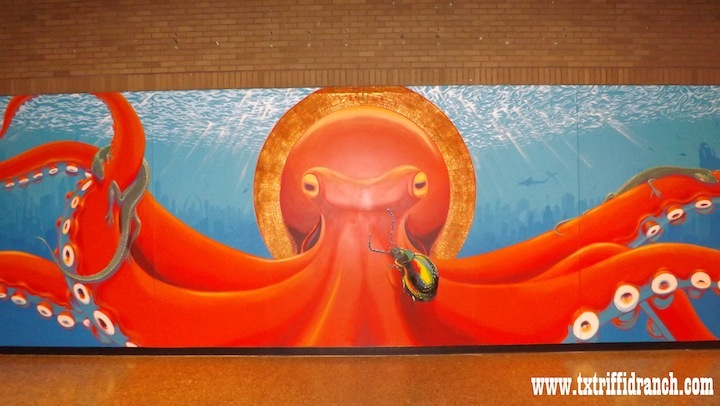 Enter the mall and head for the octopus mural, take the escalator downstairs, and we’re right at the bottom. A lot has changed with the Triffid Ranch since that first show in the fall of 2008, and much of it involves economics of scale. As the shows increased in popularity and people started coming out specifically to see what plants were available, the need to expand became obvious. For all of the assumptions that the Ranch was specifically that, particularly with the number of people calling at ungodly hours because “I’m coming through Dallas at 3 in the morning, so I wanted to come by then to see your plants,” it’s always been a home-run business since the beginning. Sarracenia in the back yard, Drosera and Stylidium in the greenhouse, and Nepenthes and Cephalotus on shelves inside the house so our horrendous summer heat and dryness didn’t wilt them within minutes. This worked for a while, and we kept expanding, but rapidly the Triffid Ranch ran into the same snag as any other home-founded business. Namely, houses aren’t conducive toward running horticulture-based businesses. We needed room, a lot of room, to expand past one or two shows per year. We needed room to construct larger enclosures than the little jars that were the stalwarts of small shows. We needed room to exhibit those larger enclosures, because while attendees would thrill to seeing Nepenthes arrangements where the plants were at a decent size, nobody had the interest in taking them home. Honestly, that’s understandable: considering the number of international guests at Texas Frightmare Weekend, it’s hard enough bringing home a one-gallon plastic arrangement on the plane, but a converted 30-gallon hexagon tank with a plant big enough to eat small children and puppies? Naah. Another factor that kicked in was that the show schedule was having issues. Covering expenses meant continuing to work a day job, and recent changes in that day job precluded my taking a week off to prepare, attend, and break down from big shows out of the Dallas area. In and out of Dallas, the old show regimen was changing, too. Every twenty years, we see a regular crash on local conventions: they start out feisty and hungry at the beginning of a recession, and the attendees really get into the festivities as a way to forget their aggravations and fears for at least one weekend. This lasts until the economy starts to improve, the curiosity-seekers move on, and the regulars realize that their own day jobs, families, and financial obligations are getting in the way. This usually gets aggravated by the number of shysters and incompetents who hear Some Guy stories about how science fiction and media conventions are a perfect way to print their own money, fail in a spectacular fashion, and thus poison the well for everyone else. Shortly after leaving the 2014 hiatus with Texas Frightmare Weekend, two shows for which I was scheduled blew up in a rather spectacular fashion, with fellow vendors bringing up the words “class action lawsuit” when they weren’t bringing up “put the organizer into a parking lot, put a gasoline-filled tire around his neck, and set him on fire.” Considering the number of touring vendors for whom cancellations don’t just mean a missing paycheck but a whole missing week of expenses between shows, I figured that it was about time to look for other venues. The Triffid Ranch isn’t quitting conventions and trade shows: there’s no way that I’d miss out on Frightmare or next year’s All-Con, as well as this November’s Funky Finds Holiday Experience in Fort Worth. It’s just that fewer and fewer vendors can risk the first-year shows that might be great, or might be the next Fed-Con USA. And then the Texas summer intruded. In the last five years, we lost two beautiful old silverleaf maples that worked very well at shading the main growing areas all summer. Then our neighbor had no choice but to take out two equally majestic elms that shaded the whole of the house from the afternoon sun, and afternoon sun in Texas can be a killer. Both trees had such a wood-borer beetle infestation that they would have come down atop the house had they remained, so I didn’t blame him in the slightest, but their removal meant that a prime grow room became a prime bread oven by about three in the afternoon. Fans, extra air conditioners, improved circulation: nothing changed the fact that the plants kept indoors were overheating, and I lost several much-beloved Nepenthes cultivars in the early summer from heat exhaustion. It was time to move. That’s where things get entertaining. Taking over and converting one of Dallas’s many light industrial spaces was always an option, except to clients who might have issue with coming out to an otherwise empty industrial park a few hours after dark. 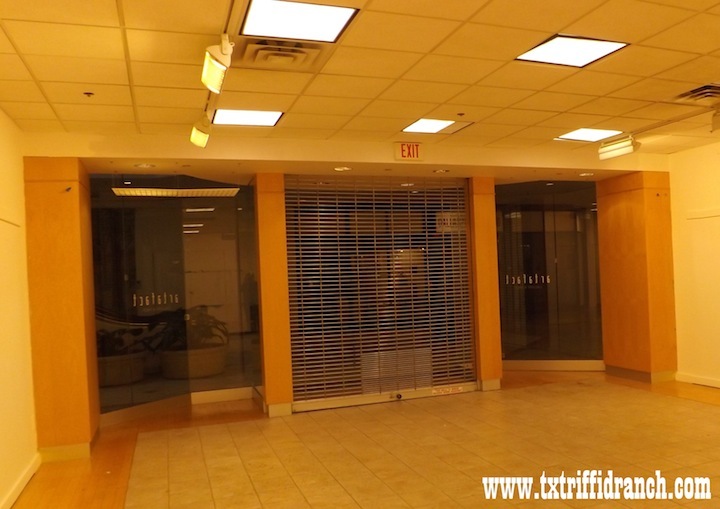 Standard retail space usually comes with the requirement of having to be open for business during standard business hours, which gets in the way of the Day Job necessary to finance the expansion for its first year or so. The best option would be a gallery of some sort, except most of Dallas’s gallery space is now renting for absolutely insane prices, and moving enough plants to pay the rent just simply wouldn’t be possible. Please note that I said “most of Dallas’s gallery space.” This is important. When it first opened 42 years ago, North Dallas’s Valley View Mall was one of the first indoor shopping malls in the area, and it definitely wasn’t its last. It survived multiple threats of shutdown and demolition that took out the neighboring Prestonwood and Richardson Square Malls, and it seemed to be making a comeback around 2005 with the addition of whole new third floor, with a brand new AMC movie theater taking up that floor. Then the original owners, leveraged up to their eyeballs, disappeared and defaulted on their various loans, and the city of Dallas found itself owning a very large shopping mall, in what would be a prime area once expansion of the Lyndon Baines Johnson Freeway was complete. Until that work on LBJ was done, though, the mall still had to be maintained for the theater. Anchor stores JCPenney and Foley’s moved out or went under, leaving only the Sears at one end. In between, business slowly trickled away, and the stores followed. By 2010, the mall was pretty much dead. The good news was that a new owner came in, with a new idea. The plan was to demolish the Valley View Mall and replace it with a huge facility called Midtown, which included a new theater, apartments, shops, and even a park that ran through the middle of it. 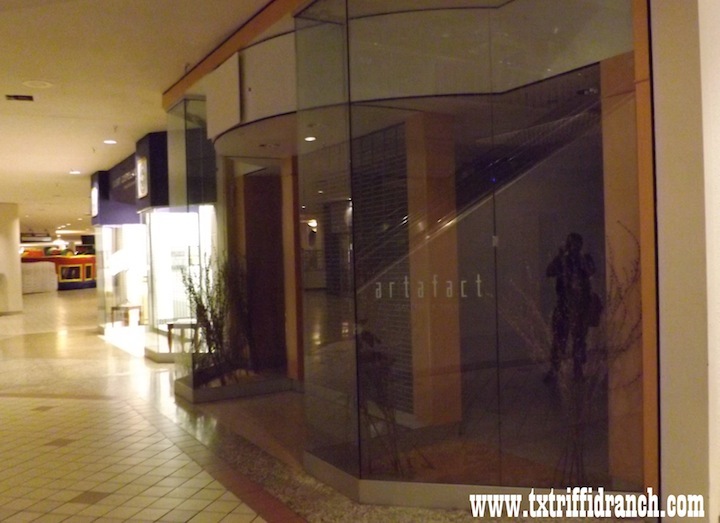 That work would have started shortly after the mall’s purchase, but the Great Recession intruded. 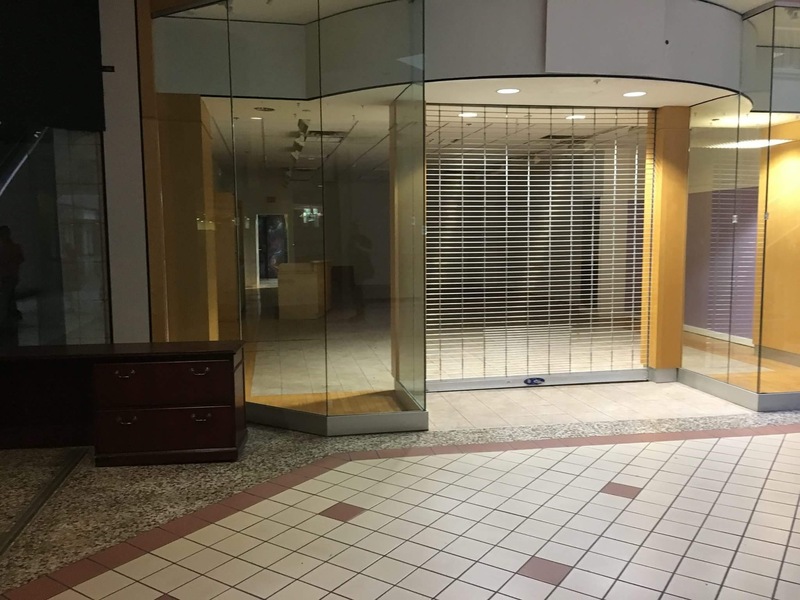 The mall couldn’t just be taken down: several long-running tenants weren’t leaving just yet, AMC wanted a new theater before it allowed its very successful existing one to come crashing down, and the Sears was fully owned by its parent company. Since the big theater expansion, the demand for shopping mall space crashed as companies such as Gadzooks and Waldenbooks died off and others cut back on mall presence. With the decreased traffic due to the LBJ expansion and new malls going up in the far northern suburbs, Valley View was seen as an anachronism, but its demolition couldn’t happen until the stars were right. So what to do? That’s where the owners came up with brilliance. The mall itself had to remain open: that was the only way to access the movie theater. That meant rooftop maintenance to prevent leaks, keeping air conditioning going, a facilities crew to sweep floors and keep the electricity connected, and all of the other factors necessary to keep this 1970s-era artifact going. The solution: what about converting the empty shops into art galleries? When I first heard the idea behind the Gallery at Midtown, this coincided with its regular ArtWalk exhibition on the third Saturday of each month. Every third Saturday, the galleries open their doors from 6 to 10 in the evening to the general public, and the festivities include live music, food, and all sorts of other amenities. What really surprised me about this was the general vibe. Dallas gets a reputation for being unfriendly to the arts, and some of that reputation is justified: we locals learned back in the Eighties to be very quiet about new venues, because as soon as word got out, the area would be overrun with speculators famed for letting tenants do all of the work on a space and then kicking them out because some yuppie made vague noises about paying three times the rent. Here, that’s not a concern, and it shows. Now here’s the kicker. The new space means a significantly enlarged workspace in a very central location, accessible from almost anywhere in north Texas. The rent is reasonable, the neighbors are wonderful, and those looking for new gallery space should check on it now. We’re also working against the clock. Sooner or later, depending upon when the next stage on Midtown starts, the mall is coming down, and everyone in it will have to relocate. That could happen by the end of the year, and it could happen two years from now. We don’t know, and neither does anybody else. In the meantime, this was a perfect opportunity to expand, we get at least one equivalent of a show every month without having to get trucks, carts, and extension cords, and the people who want to come by “to see the plants” can come up to the front window and look to their hearts’ content. Things may change. Things may change very rapidly. The plan, though, is to give this as much of a chance as we can, and see what next year brings. Here’s to seeing all of you next September 19.